Later this year, Udon will be releasing a pair of Monster Hunter Illustrations books. Two volumes are scheduled for November 20 and December 18 respectively. Hardcover Edition! Beloved by fans the world over, the Monster Hunter series takes players on an epic quest to hunt or capture the most dangerous and fantastic monsters imaginable. 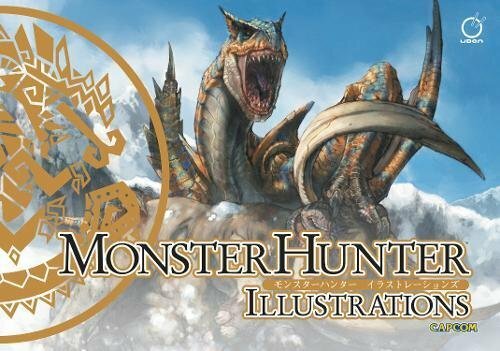 Monster Hunter Illustrations collects the unparalleled artwork behind the first two generations of games in this landmark series. Inside you’ll find hundreds of designs for characters, monsters, armor, weapons, and more, plus tons of rough drawings and sketch work. Hardcover edition! 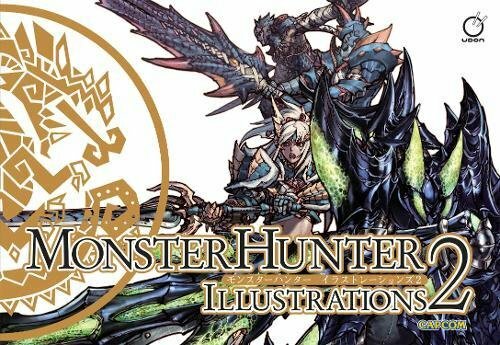 Monster Hunter Illustrations continues with another mammoth-sized, 400-page artwork collection! Monster Hunter Illustrations 2 covers all the third generation Monster Hunter games including Monster Hunter Tri and Monster Hunter Portable 3rd. Featured are creature designs, character designs,armor, weapons, tons of rough sketches, and more! You can pre-order Monster Hunter Illustrations on Amazon here (Canada, UK, Germany) and Monster Hunter Illustrations 2 here (Canada, UK, Germany). Some discounts are available.